First of all, I want to thank everyone who donated to the CHS (Community Human Services) Christmas Fundraiser this year and who attended the event at Hough’s earlier this month. Your generosity this holiday season is greatly appreciated. I’ve just heard back from the folks at CHS and we have only raised HALF of what is needed to make sure that each of the people they serve have a gift for the holiday. For the past several years, I have joined with other Pittsburgh bloggers to support CHS holiday gift drive. While all of the efforts to support worthy causes are important, CHS stands out for me because they serve many fellow Pittsburghers who don’t receive any holiday cheer from programs that cater to kids and seniors. 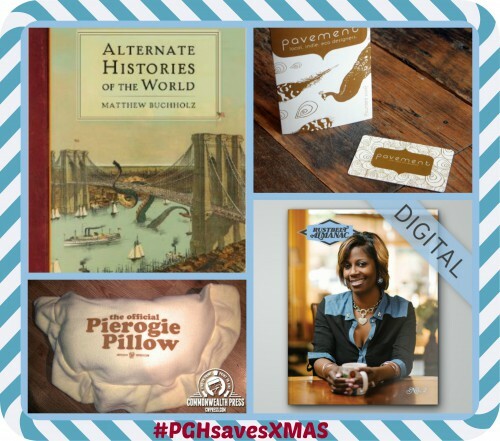 I was just about to share a blog post with my favorite Pittsburgh gifts – but I’m turning this into an opportunity for you to help CHS and to win some awesome Pittsburgh holiday gifts. 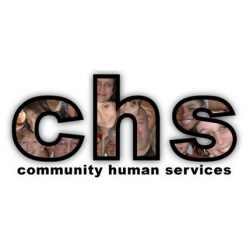 As of today CHS still needs to raise $2500 to save Christmas. Currently we are only about 25% to the total goal! Rather than just tell you about great Pittsburgh gifts, I’m going to give them all away! For the next 3 days – I’m going to launch a new raffle where you can enter to win great Pittsburgh gifts that you can keep for yourself or give as a gift. (I’m going to try my hardest to get all of these delivered by 12/24). There are lots of ways to enter to win – the best way to help is donate to CHS, but you can also earn entries by tweeting, pinning and blogging about the 12 Giveaways of Pittsburgh! You can donate to CHS online here and use the Rafflecopter box below to enter to win! We’ll draw four winners for this giveaway. Copy of the Alternate Histories of the World Book by Matthew Buchholz – Entertainment Weekly’s book gift guide describes this book as “blazingly creative.” – and it was authored by a Pittsburgh resident. Some additional ways to help!